Fascia, soffits and guttering replacement, Dry verge protection systems, 3 layers felt roofing system plus a roof repair service available, we also supply and fit new cantilever car ports and door canopies - no job to small. Registered installer of Freefoam plastic building products which come with a 50 year guarantee against warping, cracking and discoloration. Our highly experienced installation teams will install the client's new roofline system only to the highest standard. This is covered by a 10 year guarantee on the workmanship giving our customers total peace of mind in the future. The Palace team did a great job on our chimney repair. The work was carried promptly and cleanly. Well done guys. Would highly recommend using them. I'm a stickler for detail; Shane and Phil were absolutely brilliant from start to finish. The quality of the products used speak for themselves and the customer service is the best I have experienced in a long time. Thank you, we're thrilled. I was impressed with this trader from the time he came to my home to give me a quote. He explained the whole process of what I needed doing and brought in samples of the items to be used. There was no pressure salesmanship, which I have experienced with other traders. Also the men who carried out the work did an excellent cleaning-up job. Palace Roofline replaced our soffits, facias and guttering. Work completed to high standard, whole process was well organised and ran smoothly. We were very impressed by all the team from beginning to end. Shane arrived with photographs and materials to show us how the work would look, gave us a quote and a date. The fitters arrived on the date agreed (Phil & Callum). They were polite and friendly hard working lads. Everything was taken away and left clean and tidy. In addition, we are in our eighties and felt totally happy with them in our home. Shane was an excellent salesman. Very friendly and not too pushy. The guys did the job to a very high standard and cleaned up after themselves well. Exceptional service from start to finish. Everything explained and nothing was too much trouble for them. 5+ stars! Shane and his team did a great job for my mum. She needed some guttering work and wanted her flat roof re-doing. Very happy customer and would recommend. Very professional, excellent service. Prompt, efficient and friendly, with a good product. Very happy with the work, and would recommend without question. Fascia & soffits replaced. Our property has a gable end that now looks stunning. Very professional company. Nothing was too much trouble. Work carried out to a very high standard. Highly recommend Palace Roofline. Professional company with a friendly and personal approach. Quality work. Reliable, very happy with service, wouldn't hesitate to use them again or recommend them. Excellent initial presentation of product and installation. Work done when said and to high quality with considerate workmen. Confirmed booking with telephone call and confirmed payment with telephone call. Professional, polite. Tidied up. Highly recommend. A professional service from quotation to completion of the work. Workmen polite and industrious. Very happy with price, work performed, contact throughout and clear up afterwards. Very professional service. Happy to recommend. Friendly, reliable, flexible and thoughtful. Excellent service - Shane and his team were very professional, courteous, neat and tidy. We are very pleased and would highly recommend. Brilliant work done to a good standard. Friend staff and boss. Everything 100%. Palace Roofline provide us with excellent service from the first visit to installation. Their staff are very skilled, very respectful and the workmanship is second to none. Highly satisfied. Very polite work men, left property clean and tidy. Work done looks great. Removed a bee and wasps nest using appropriate agency saving me the stress. Thank you Palace Roofline. Excellent work carried out to plan. Staff very cooperative replacement of ridge tiles and reappointing. They spent some time rectifying faults carried out by previous so called 'Trusted Traders'. Punctual, good work, tidy when left. A very professional company. I would recommend them without hesitation. I found 'Palace Home Improvements' to be prompt, professional and very neat. They worked as a great team, always polite and did a great job. Quality product, quality workmanship, very tidy and very professional. A very fair price, I just can't praise them enough. Cheers guys. Palace Roofline have done two jobs for me now. Most recently, the roof ridge tiles have been replaced. I am pleased with the quality of the work and the customer service given. Shane and Martin take care to do a good job at a fair price. I have no hesitation about using them again and to recommend them to others. Shane(owner)gave me a detailed quotation. Sean & Alex turned up as arranged & worked efficiently without any fuss. High standard of work, polite - would recommend for work in Buxton. Personable staff, a job well done. 10/10 reliable. I wanted full replacement of fascias, soffits, gutters etc on my detached house and garage in Buxton. I went for competitive quotes and found Shane provided the most comprehensive detail at a good market price. I was reassured by that and previous Trusted Trader feedback. We agreed a date for 3 weeks hence and the team of Alex and Sean turned up on time as planned. They were polite and conscientious guys who seem to have done a good job. They were very accommodating and reacted easily to any concerns / comments we had and sorted out any minor surprises with the existing structure en route. Overall very pleased and would recommend. Good advice given and all work carried out professionally. I will use again. Extremely good, prompt, professional, pleasant and very tidy. Would recommend them. Shane & his team were thorough and professional from the first quotation to completion. They kept us fully informed even when things didn't quite go to plan. Did job when they said they would. Works hard & did a neat quality job. Highly recommended. I am so pleased with Palace Roofline and would recommend to anyone. Shane (the owner), was very professional. The craftsmen who did the roof ridge tiles were outstanding and a pleasure to have around. Superb result from a top company. Work carried out to a very good standard. Always arrived on time. Helpful advice. Willing to do a small, but important job. Contacted a number of other firms, including Chesterfield Council, who were not interested. Good accurate assessment by Shane of the work to be done - careful explanation of product, process. Team did a good job - tidying up each night and worked on their own as we were out all day. Super job! Prompt & professional. Completed as promised. Friendly & helpful. Shane Calton runs a very professional, quality firm and personally ensures that his courteous and friendly staff work to the high standards he sets. He is reliable and keeps to agreed time scales. The works carried out by the "boys" to a very high standard. The weather was very bad, but kept on working when it lessened. Still got completed on time even though they worked until almost 7.00pm on the last day. Shane's got a good team of workers. The owner is passionate about the work his firm does. Everything was explained in detail. Work was completed as described. The workmen were polite, pleasant to deal with. They were tidy workers & on time. The owner came round to check on the work & see if we were happy with work on completion. From placing the order to final payment, we were treated with courtesy. The work was carried out by a first class fitter, which is now shown in the great improvement to the property. Excellent job. Very professional. Turned up on time and left everything neat and tidy. Scaffold taken away the next day. Full explanation of materials/work given. Workmen prompt and polite. All work carried out within given timescale. To a very good standard. Excellent work from start to finish from Shane and his staff. Shane and Martin were very professional from start to finish. They came when they said they would and carried out the work to a high standard. We are very happy with their work. Good professional advise and work carried out with paperwork and safety in mind. Attention paid to bonding tile "cuts" and quality of mortar mix used, to ensure longevity in weathering conditions. Prompt reply to initial enquiry, followed by a visit when an estimate was left. Work completed to a high standard and no mess left at all. Highly recommend. Very efficient workmanship. Arrived on time and left everything clean and tidy after finishing the job. Very good workmanship, very nice to do business with. Did a couple of small jobs that weren't on list or charged for. We had Phil and Jay to do the work, an excellent job done, clean tidy nothing was too much trouble, really pleased with the completed job would definitely have again. Very good professional service, would recommend to anybody. From first telephone call the service was excellent. Shane arrived on the date and exact time specified and supplied a quote within 15 minutes. They completed the work within the time stated to a high standard and even called for payment to save me travelling to the shop. Very pleased with the work undertaken from valuation, dates planned for work to be carried out and the professional attitude of the people carrying out the work. Would highly recommend this company. Everything was completed to the highest standard - even the clean up at the end. I have only praise. The work is to a high standard. The guys carrying out the work tidied up everything, all the old soffits and fascias were disposed of along with packaging. They were professional at all times. Palace Roofline Ltd is a company I would definitely recommend and use again. The job in 2014 was started and completed in the stated time and recently a small problem was given the same attention. A few weeks ago I also had guttering replaced on a conservatory. Excellent job as usual, very satisfied customer. Excellent job really pleased with the work and advice given. Greatly improved the look of the house. Great service from start to finish - called back when they said they would, turned up promptly to give quote and carry out job. Did good work and left everything tidy afterwards. Would recommend. Excellent service from start to finish of work. Would recommend this trader. A great job, completed quickly, at a very good price to a high standard. What else can you ask for! Brilliant. Very easy to deal with, always returned calls and the job was completed on time with excellent results, very happy came home to find it all done and they cleaned up too! Both Phil and Tyler (installers) worked well & professionally. Both very pleasant & willing to undertake all requirements, I would recommend highly. Excellent professional service. Very satisfied with work, tradesmen very polite. Superb in every aspect- products, workman, cleanliness and quality of job. Brilliant! Excellent service, punctual & very obliging. The company was very good and I am highly satisfied with the work they undertook. The fitters were professional, polite and efficient and I would happily recommend this company. Excellent friendly service and very professional throughout. Highly recommended. We are nearly a year since Palace came to do the garage roof, and everything is fine, nice & dry. The fellas worked well and were friendly but professional, no messing about. A good job done! All work was carried out professionally and to a very high standard, site was left clean & rubbish removed. The workmen came on the day we arranged 3 weeks ago, very good for us because we were only here in Chesterfield for the 2 days. Good workers who cleaned up very well after themselves. Very efficient & pleasant firm to deal with. All workforce pleasant, polite, on time. Excellent in all ways. 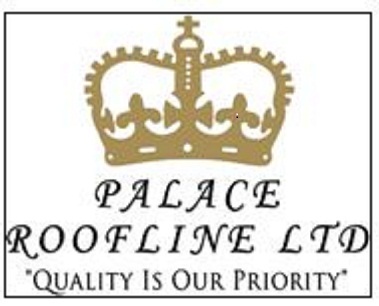 Polite, friendly & efficient service all the time, I was very impressed, I would gladly recommend Palace Roofline Ltd to anyone. Shane & his employees are always polite and professional and do a good job. Would always recommend him! We are very pleased with the finished work. Excellent workmanship prompt service - very clean/tidy. Nothing was too much trouble. Would highly recommend. Extremely happy with the work done and would definitely recommend. Very knowledgeable, approachable and friendly. Work done exactly as promised.